The heart of the Visitation education is respect for the individual. Our charism, kindness, gentleness, and respect for one another is central to the philosophy of the school. 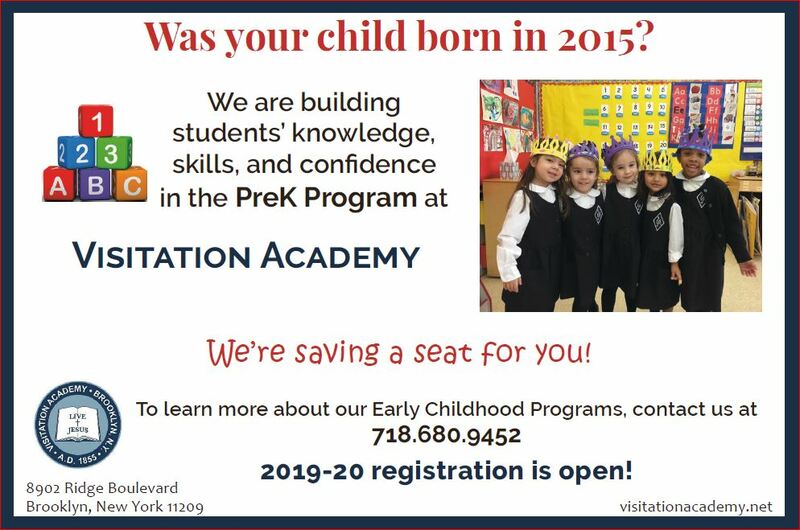 Continuing Registration - Call 718 680 9452 or email us at office@visitationacademy.net to schedule a private tour. 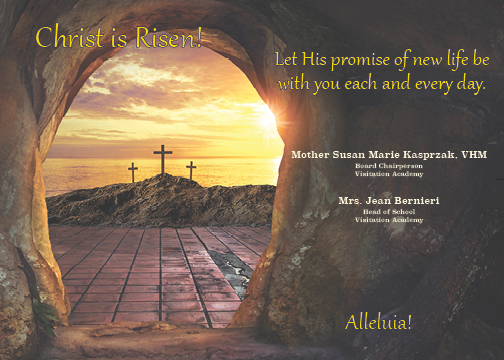 and humility that are an important part our Salesian heritage. 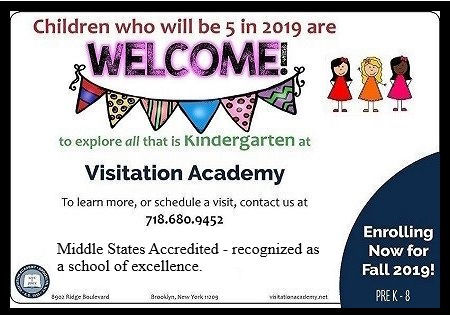 Visitation Academy is a private, Catholic all-girls school located on 7.5 acres of beautiful, enclosed monastic grounds in the heart of Bay Ridge, Brooklyn. Rooted in the spirit of St. Francis de Sales and St. Jane de Chantal, a Visitation education emphasizes gentleness to others as well as to self. We are a Middle States accredited school, recognized for our continued academic success. We invite you to explore the special experience that is Visitation. Congratulations to our 2018 Graduates who were awarded $338,000 in scholarships. Our Middle School student teacher ratio is 1 teacher to 6 students. Our core values have served our students for more than 160 years. Our motto, “Be Who You Are and Be It Well” encourages us to live by a common spirit – that is, to be extraordinary people who live by example. Visit our Admissions FAQ and learn more about the Visitation Academy Admissions Process. Search for Open House dates. Schedule a visit to our Bay Ridge, Brooklyn campus. A progressive and enriching curriculum is taught by a talented and dynamic faculty deeply dedicated to our core values that encourages our students to grow in mind, body and spirit. Visitation Academy has been accredited by Middle States using Sustaining Excellence protocol, furthering our commitment to provide a rich curriculum in keeping with our 161 year tradition of educating and empowering young women. 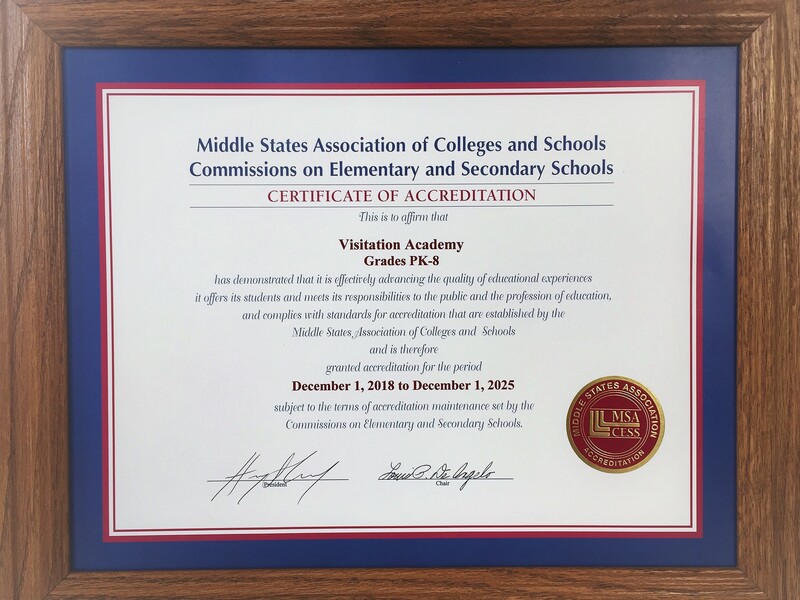 Visitation Academy is committed to advancing excellence and has been accredited as a Middle States Program of Sustaining Excellence. Sustaining Excellence award recognizes high-achieving schools for their ongoing accomplishments in all areas.